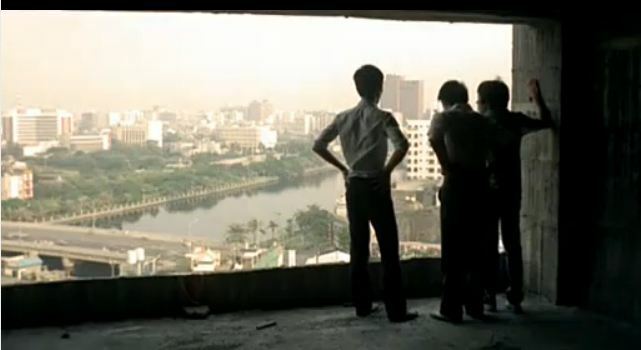 Following Hou’s contribution to the New Cinema portmanteau film The Sandwich Man, also released in 1983, The Boys from Fengkuei is Hou’s first foray into the kind of oblique and elliptical storytelling that would become one of his hallmarks. Inspired by the autobiography of Chinese painter Shen Congwen that Chu gave him (she thought he and Hou had similar sensibilities, that they would go together well), Hou began to seek a more “objective” view of his characters, to try and see them clearly and without judgement, to put their actions in as full a context as possible. Visually, this meant moving the camera back from the close-up and medium shots that traditional film style demands (he’s said he was repeatedly telling his cinematographer to “pull back, pull back” as they were shooting) and increasing the length of his shots (editing within a scene necessarily means directing the viewer’s attention in such a way as to impose a point of view on the action; by allowing events to play out in long takes, the viewer is left more freedom to determine their responses). In genre, the movie is a coming of age film. While not strictly autobiographical (as Hou’s next three films three will be, each based on the memories of a collaborator, Chu, Hou himself, and writer/actor/director Wu Nien-jen, respectively), Boys is inspired by Hou’s own experiences as a young man. Set in the present, it follows a group of, well, boys from Fengkuei, a small provincial town, who move to the bigger city of Kaohsiung and the various adventures they have there with women, factory employment and rival bands of petty hoodlums. Certain Hou trademarks are already evident: the crashing of the waves dominates the soundtrack as the young men visit a beach resort, Hou will only grow more complex in his sound design, using it to tie together disparate spaces and times while also locating his characters firmly in their environments; seamless cutting between past and present as the main character, Ching-tzu, flashes back to memories of his brain-damaged father; a predilection for rectangular spaces within the film frame (shooting through doorways, windows, stairways etc), a tendency that will only grow stronger throughout the 1980s and that reminds so many of Ozu, though at this time Hou was unfamiliar with the great Japanese director’s films); an emphasis on the sensations of life over the specifics of narrative detail. On this last point, the film serves as a kind of middle-ground between the traditional narratives of Hou’s first three films, and his more oblique later work. Exposition is missing for several scenes, and we’re left to figure out what exactly is motivating the characters. This is a major violation of the rules of Hollywood storytelling, and Hou would only grow more flagrant in flouting it, but here we find him experimenting with what is and isn’t necessary information to relate his story, not in its particulars, but in its emotions. I’ve seen the film twice now, after last night’s show at Scarecrow Video’s Screening Lounge, and I honestly couldn’t tell you why the characters do the things they do at every given point in the narrative (most of them, yes, but not all). But nonetheless every move makes sense. It has the rhythm and comprehensibility of everyday life. Following the success of Boys from Fengkuei (it won an award at the Nantes Three Continents Film Festival, the first Taiwanese New Cinema film to gain recognition at a European festival), Hou and Chu collaborated on A Summer at Grandpa’s, based on her childhood experiences and actually shot at her grandfather’s house. In 1985, he made what remains one of his most-acclaimed films, The Time to Live, The Time to Die, his own autobiographical account of his youth in small-town Taiwan in the 1950s and 60s. It’s playing tonight at the Grand Illusion (I’ll be there) and on Monday, March 23rd at the Northwest Film Forum.